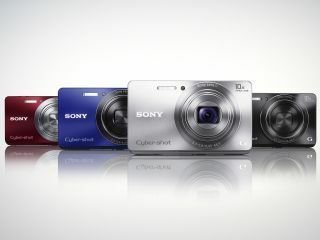 Sony has introduced a new range of stylish and slim cameras packed with 10x optical zoom lenses. The three cameras feature in Sony's W and WX range. First up, the Sony WX100 is just 17.5mm at its thinnest point, making it the world's slimmest and lightest compact camera to feature a 10x optical zoom lens. Other features on board the camera include an 18.2 million pixel Exmor R sensor and the ability to shoot video at Full HD. It comes with a 6.7cm LCD screen and a number of Artistic Picture modes such as Toy Camera. Next up, the WX150 packs all of the same features as the WX100, but comes equipped with a larger, 3 inch screen for more detail during playback of images. Finally, the W690 also features a 10x optical zoom lenses with Enhanced Optical SteadyShot for improved image stabilisation which is effective in both video and stills shooting. 360 Sweet Panorama is included, which makes use of Sony's Sweep Panorama functionality to capture an entire scene. UK pricing for the new cameras has yet to be revealed, along with release dates.